The Martian has been out for a week, and it looks like it’s not just a box office success but a big one. It’s just what’s deserved for a film that marries Ridley Scott’s visual genius to a clever and intelligent (not the same thing) script, delivered via Matt Damon’s leading-man charisma and a stellar supporting cast. As popcorn entertainment, it’s the best thing since Mad Max: Fury Road (which, okay, wasn’t that long ago, but that will become an actual classic). Even as the London Olympics strive to inspire a generation towards physical perfection through washboard abs, world records and tales of Olympian sexual shenanigans in the athletes’ village, inspiration of another kind was taking place several hundred million miles away. Human ingenuity, engineering and scientific skills combined to hurl an SUV-sized vehicle across the void of space and land it within a few hundred metres of its target on the red planet. NASA has had plenty of practice at flinging scientific instruments at Mars, but this was still no small feat. 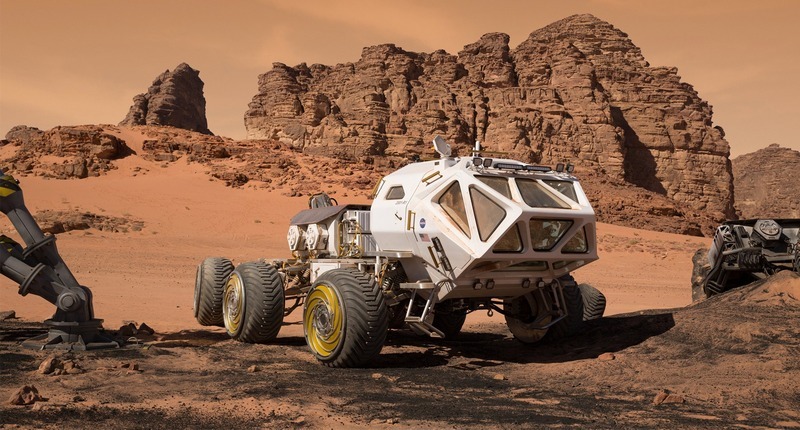 Missions to Mars have failed before completing their missions around two in every three times. Moreover, the Curiosity rover, part of the Mars Science Laboratory mission, is far larger and more sophisticated than anything landed on Mars before, requiring a Heath Robinson-esque method of getting it safely to the planet’s surface, involving a parachute and a flying sky crane. Since I’m currently sitting here watching some of the first photos from Curiosity, it’s fair to say that the whole thing worked pretty well. I’m far from alone in getting up early on a bank holiday Monday to catch a glimpse of humanity’s latest adventure on another planet. NASA’s dedicated TV channel lasted long enough to broadcast the euphoric celebrations in the control room before it crashed under the load of viewers from around the world. That kind of enthusiasm, allied to the sheer joy of the crew who have worked for years to bring Curiosity safely to the point where it could begin its mission to survey Mars for signs that it could have supported life at some stage in its past, is simply inspiring. There will be plenty of news about this, and more science and pictures in the days to come. But for now, it’s great to be reminded of just what we can achieve as a species.